Adrenaline. It gets a bad rap because of its association with stress, but a burst of adrenaline once in a while is actually good for you. When you’re nearing the top of that roller coaster or scaling a giant rock face, the rush of adrenaline sends an overload of oxygen throughout your body and releases endorphins, which make you feel good. Adrenaline helps you focus and can even improve memory and cognitive functioning, as long as you’re getting it in small doses. Obviously, every day shouldn’t be stressful, but for those moments when you want to feel your heart beat a little faster, head to one of these four Concord destinations. You may not be ready to climb into the driver’s seat, but you’ll still get your share of excitement when you attend an event at zMAX Dragway at the Charlotte Motor Speedway. The epic roar of the engines, the rumble and shake of the dragsters and funny cars – an event at the dragway will get your heart pumping. Head to the NHRA Four-Wide Nationals in March of 2015, or the NHRA Carolina Nationals in September. Just don’t forget your earplugs! Great Wolf Lodge Water Park is the perfect place for families who may not be too keen on careening around the track at neck-breaking speeds. With over 80,000 square feet of splash parks, slides, and wave pools, there’s something to thrill everyone – even the littlest wolf cubs! 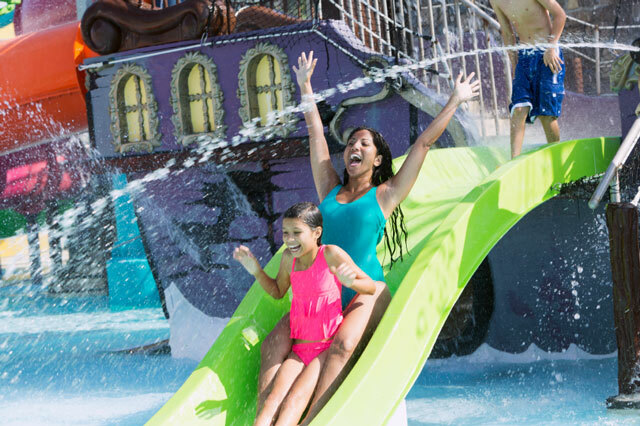 Whether you’re braving the four stories of the indoor-outdoor Alberta Falls slide or splashing at Fort Mackenzie, you’re sure to feel that adrenaline rush. Rock climbing, ice climbing, waterfall rappelling…if you love the outdoors, a Thrifty Adventures class is the perfect place to find your adrenaline rush. Classes take place in the most beautiful landscapes around Concord, including Lake Norman, Lake Wylie, and the Catawba River. If you’re the independent type, skip a class and strike out on your own at Frank Liske Park, where you can play disc golf, go for a jog, or paddleboat on the weekends. There’s good stress and bad stress, and a quick adrenaline rush is the good kind! Of course, when you feel that adrenaline, it may be because you’re doing something that involves risk. Follow all safety instructions so you don’t get hurt. If something does happen, you can always come to FastMed Urgent Care, located on George W Liles Parkway Northwest. We handle all kinds of non-life-threatening illnesses and injuries, including sprains, strains, cuts, bumps, bruises, and all the rest of those occasional scrapes that go along with getting a thrill. We’re open 365 days a year, so we’re here when you need us.